Kellogg, ID — In the late 1800’s men started tunneling into the mountains around Kellogg, Idaho with little more than a pickaxe and shovel searching for the precious metals that have inspired songs and mass migration. Over a hundred and twenty years later, the many miles of tunnels have become a Federal Superfund site that faces a multi-million dollar cleanup effort. The Bunker Hill Superfund site is considered by the EPA to be one of the largest and most complex hazardous waste sites in the nation. 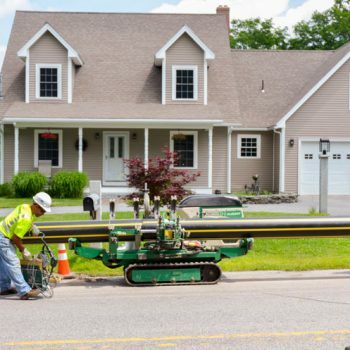 Hydrometrics, Inc., the contractor managing the operation and maintenance contract for the treatment plant, recently improved their process by constructing a high-density polyethylene pipeline to shortcut their operation. The problem is acidic water. Natural water from snow-melt works its way down through the mountain thousands of feet and eventually reaches the tunnels. Through the natural process of percolation, the water leaches out sulfates and chlorides and then collects in the abandoned tunnels. The water oxidizes into a diluted sulfuric acid and hydrochloric acid with a Ph of three to five. The water would eventually find its way out of the mine through portholes and possibly contaminate soil, streams and rivers in the area. The clean up involves pumping the water out of the mine and treating it before it is released back into the river system. The volume of water treated each day is approximately 2 million gallons. Hydrometrics is installing 1150 feet of 20″ high-density polyethylene (HDPE) that will act as a direct feed to transport water from the mine to the treatment facility. In the past, the water traveled to a holding pond through a 20″ HDPE pipe and then was pumped to the treatment plant. The pipeline is not a new application for the mine. A previous pipeline served the same purpose but the pipe material broke down over time and corrosion on the interior of the line had restricted flow. 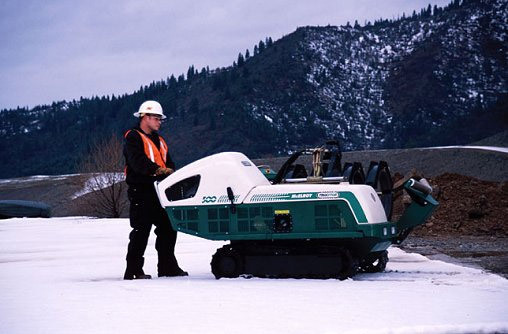 This played a major role in the decision to use HDPE this time for the operation. 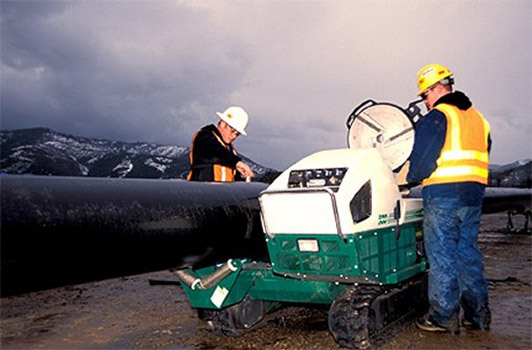 HDPE does not corrode and is resistant to the abrasive acid water of the mine. The topography of the land was also a determining factor in the decision to use HDPE. 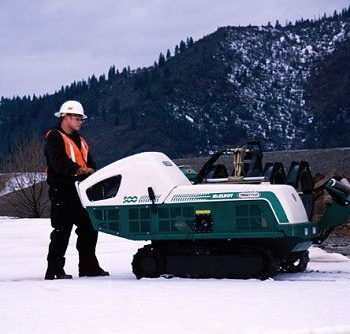 Dramatic drops in elevation and two 45-degree radius turns were maneuvers that the HDPE was able to navigate on its way to the treatment plant. 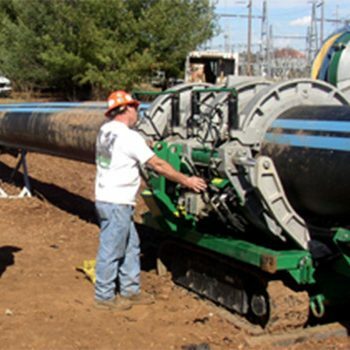 HDPE has the ability to be bent up to 25 times the diameter of the pipe. 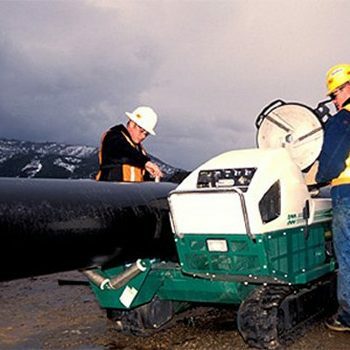 The HDPE pipeline was heat fused together with a McElroy TracStar 500 fusion machine. The fusion machine heat welds pipe together so there are no joints in the line. This eliminates the chance for leaks to develop at the joints. The TracStar is mounted on a mobile track system, which aids in maneuvering for the fusion process.